CEDAR RAPIDS, Iowa (May 9, 2018)—Kirkwood Interactive Camps for Kids (KICK) are back this summer with 100 new camp offerings for youth ages 8-15. 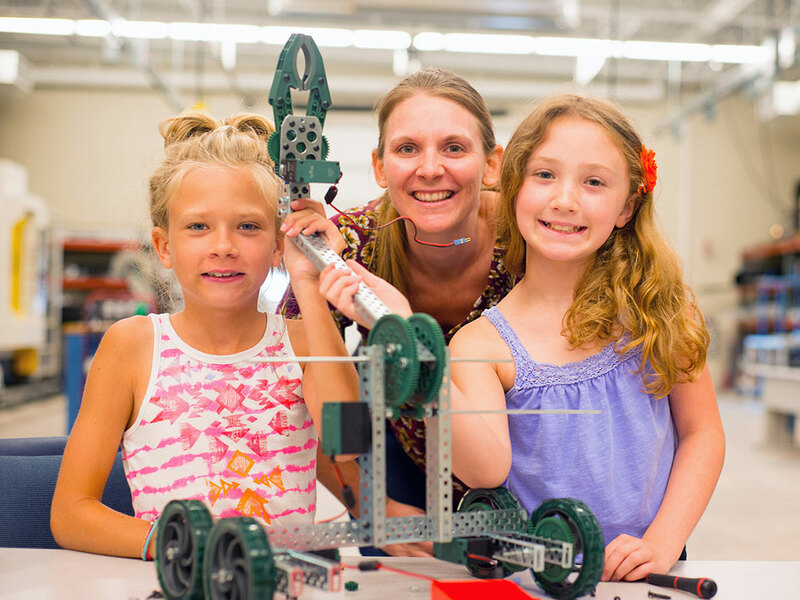 More than 200 camps are available and are designed to introduce area children to STEM careers. According to the U.S. Commerce Department, employment in STEM occupations are expected to see an 8.9 percent growth rate by 2024, compared to STEM occupation numbers in 2014. These are critical fields that drive our region’s innovation and competitiveness. Area companies operating at the forefront of technological innovation are concerned about the future labor market. Some of the most popular camps available this year are in the arts and computers areas, including Roblox, Build Your Own Computer, Virtual Reality, 3D Modeling, Python Programming and Fused Glass Making. KICK camps run June through August and space is limited. Enrollments are accepted up to one week prior to starting. The college offers tuition assistance to qualified students. For a complete camp listing or to register, call 398-1022 or visit www.kirkwood.edu/kick.